This website is for all people who have children in their lives- from your best friends' kids to your nieces and nephews to the students in your classroom. You will find great ideas to build libraries at home, help get the kids in your lives engaged and enthused about reading, and to build close relationships- all around the written word! Books help to shape how you see yourself and others in the world. 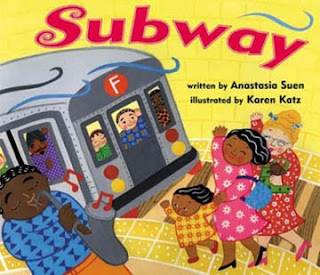 To many of us, reading books about kids and people from diverse backgrounds is important. We both want to create positive self images and to understand and grow positive images of others. Reading about families that look and sound like yours, help you to see yourself in the world. Reading about families that are different then your own, helps you to understand others in your communities! My friends, in California, who adopted twin three year olds and who have a beautiful 2 year old girl, asked me about the library I am creating for my nephew. They wanted to know mostly about his books that celebrate a diversity of ethnicities and families. They wanted some good titles of books that feature kids of color. My sister and I have tried to find books that not only celebrate diversity within a family- but that also celebrates diversity of what "makes up" a family! For my nephew’s library I have collected a few books that help to highlight these things about our family values. I got him, Families by Susan Kuklin. This book is a series of photo essays of kids and their families at home. The kids are from diverse backgrounds and blended families. Another favorite of my nephew is the book, Black is Brown is Tan, a poetry book by Arnold Adoff. Arnold is poet extraordinaire. He is married to Virginia Hamilton, another famous YA novelist. This poem is a celebration of their family. My nephew can listen to this book 3 times in a row! He has loved it ever since he was little. We also have, What a Family by Rachel Isadora. My nephew likes to read this book and then we open up our photo albums of our family. We read them side by side and talk about everyone in our family. More More More Said the Baby, by Vera B Williams, is another favorite of my nephew. He runs the house as if he is little guy and little pumpkin! He references the book often in his play and loves to be chased! My nephew, ever since he was a baby, has loved loved Shades of Black! It is not a story, rather a list and beautiful set of photos of kids. He loves listening to the lyrical language and reading about kids! This was one of the first books he memorized! Who’s Toes Are Those and Who’s Knees Are These, were two books he read repeatedly in daycare. We decided he needed them at home too! Brown Angels is one of my favorite poems, (made into a picture book), by Walter Dean Meyers. Two of my nephew’s favorite picture books, that feature illustrations of kids of color are Looking For a Moose and Subway Anatasia Suen. When our friends had their baby, we got my nephew and their son, I'm Your Peanut Butter Big Brother, by Selina Alko. 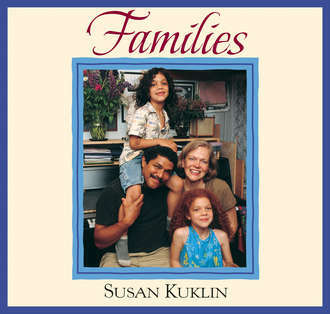 Look for books that reflect your family’s heritage, family structure and values! Look for books that introduce your kids to other backgrounds, family structures and values! Open your lives to celebrating families of all kinds and you will open the world to your kids! A List of More Books to Look Up and Add to Your Library! You are now a BIG BOY too! 5 Years old! Should be dramatic and fun! We will post the results and opinions of the show later this month! When I was a little girl, my grandfather's brother, Uncle Teddy, traveled the globe! Every time he came from a new country, Korea or Thailand, he always brought me back a doll from that place. Not only did I end up with this beautiful collection of dolls, but I also ended up with a beautiful memory of my Uncle. Why not do the same with books! In the spring I went to visit my sister and nephew in Dubai and Beirut. I was trying to think of something I could bring back to my friends that captured the essence of my travels. Suddenly I found myself in a bookshop- and I realized, books about the country would be a perfect souvenir to bring back for my friends. You're Too Little is a sweet little book about a boy who wants to help his family build a dhow- a boat. After his family tells him he is too little, he decides to build his own boat. I bought it for my nephew (2 years old) as a souvenir to remember his trip on the Dhow he took in Oman. I brought it back for Baby C to share with him the place I had visited. He immediately adopted it as favorite read! I work a lot in California. This summer I flew back to Montreal to see my nephew after I spent a week in San Diego. I can't come and visit him without a book. One of his favorite books at home is 1,2,3 New York. He loves saying, "Titi lives in New York!" He is also obsessed with counting the hot dogs and water towers. 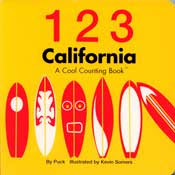 As I browsed a local bookshop in San Diego I found- 1,2,3 California. It made a perfect souvenir! Surf boards became his favorite thing to count! When I came back from the Philippines, I wanted to bring back some books that I would give to my nephew. I wanted to show him about the new and latest place I had just visited. I brought back some fairy tales and My First Words in Tagalog! What a nice way to remember a trip you have taken or to share with someone about a place that you traveled too. Build your collections documenting the trips and travels you take with books. It is a gift that keeps giving! Happy Birthday Big Boy- You are 5!!!! Happy Birthday to the NEPHEW! You are 5! I miss you! Sending you lots of birthday wishes! Fantastic Mr. Fox for the 30th time! 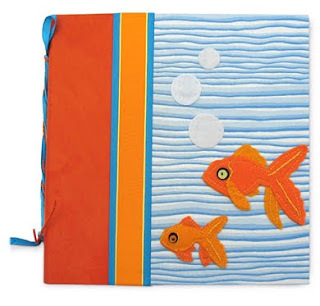 Books make a great baby shower present. 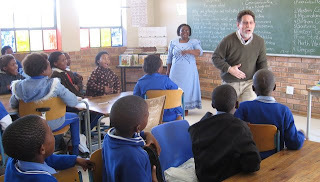 You are helping to create the child's first library of books. Usually parents are overloaded with one-zies and bottles- but what are they going to do with the baby? READ! It is never too early to read with children, to introduce them to the sound of your voice, the sound of books, the sounds of this world! Typically when people give books, they give- Goodnight Moon and Brown Bear Brown Bear! Be on the look out for new and exciting titles. Otherwise people end up with 5 copies of the same book (which can come in handy- but that is a different post!). 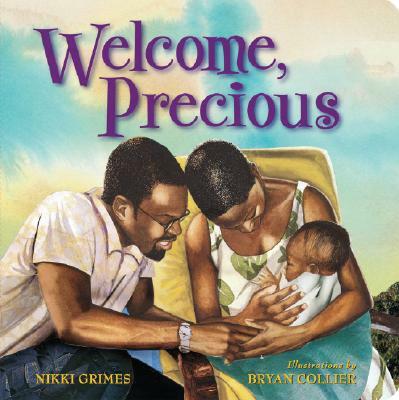 My new favorite baby shower gift is Nikki Grimes' newest board book, Welcome Precious! A perfect addition to new baby's book collection! I love gifting books that are actually all time favorites of children I know. Good Night Baby - by DK Publishers was my god daughter's all time favorite! Getting ready for bed books are always welcomed! 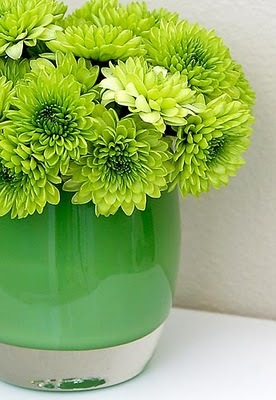 It helps with establishing routines in the home. Time For Bed- is a beautiful classic by Mem Fox that very few people have in their libraries at home, but a real winner with babies! Baby C loved This Little Chick By John Lawerence. He loved the sing-song pattern and rhythm in the book. It reads much like a song! Another book with this same quality is I Kissed the Baby- By Mary Murphy. It is fun to read with babies snuggled up close! These books are easy for babies to attend to because of the heavy repetition and sense of music in these texts. 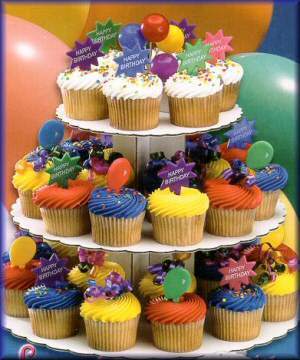 Be different- for the next shower you are invited to- and give the gift of a book! Help lay the corner stones for that child's love for reading! When the baby arrives- you will have a gift that you will be able to share with that child for years to come. Who knows, maybe it will become their oall time favorite book! Remember babies grow out of one-zies! Now in NYC we have baby hawks. 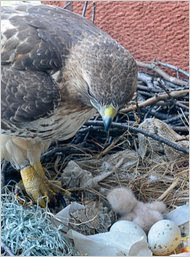 Have you watched the live streams of the baby hawks? 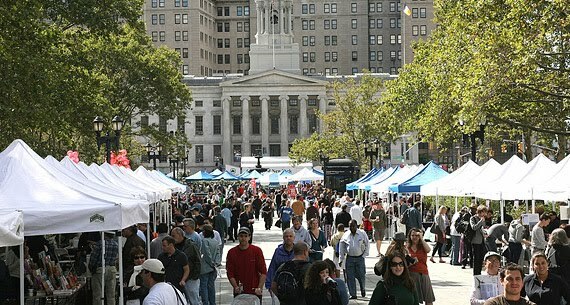 The City Room of the NY Times has a great blog about the new NY family. 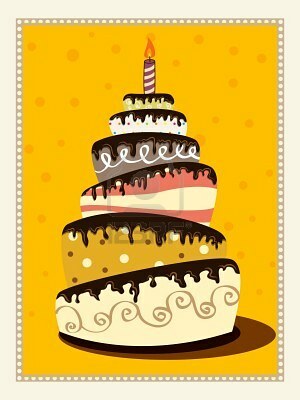 To my mom, sister, aunt, cousins, close friends and everyone else! Read all the books you love! Last Day of Chinese New Year! When my nephew came to NYC for a visit, I was in charge of babysitting and all activities! What fun that was for me. So I called up all my friends with kids- and invited them all to play dates! Mama B and Big Girl S, invited us to their apartment in Chelsea to play. Upon on arrival, Big Girl S presented my nephew with a - WELCOME TO NYC- NICE TO MEET YOU- present. Of course he loved it and wanted to read it immediately with everyone, twice! My parents, who were along on the play date as well, enjoyed the read. 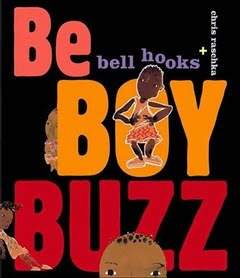 bell hooks writes in a lyrical poetic rhythm that lulls us all into loving her words. Be Boy Buzz is our family's new favorite! After spending a day at the beach with my friends Mama and Papa J and their three kids we went home for napping time. As all the kids went off to their own napping spot, I pulled out my gifts, Shades of People, The Lion and the Mouse, and a few non fiction books by Gail Gibbons: My Basketball Book and My Soccer Book. The twins and Toddler J- were in love with their new treasures. Of course, as a house guest with Mama K and Big Girl C, I left 3 new series books with them. Chapter Book reading with young readers, who are in first grade like Big Girl C, is a wonderful way to work on build mental images, more sophisticated vocabulary and for thinking about longer and more complex stories. I gave them Whoopi Goldberg's new series- Sugar Plum Ballerinas, Nikki Grimes' new series- Dyamonde Daniel, and Amanda Stern's new series- Frankly Frannie. Enjoy the reading! And lavish your friends in books! The function of education, therefore, to teach one to think intensively and to think critically. But education that stops at efficiency may prove to be the greatest menace to society. 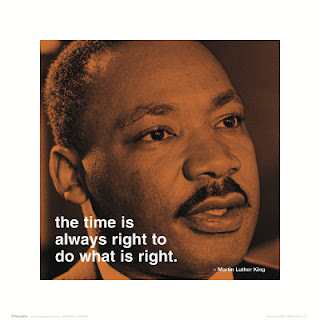 Martin Luther King Jr.
You have asked for our link on facebook! Here it is! 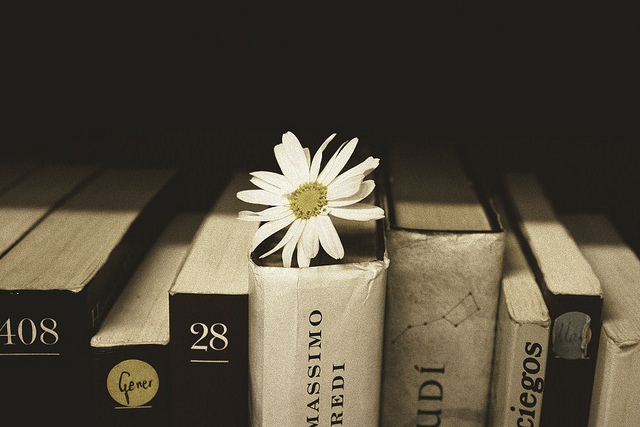 Like us, Comment to us, post your favorite books! Sorry we have been gone so long from our blog. No worries, we have a whole set of books, stories, and wonderful celebartions for you and your family to enjoy! Thanks for reading and rereading the blog this year! It has brought us much joy! I highly want to encourage you to follow us on facebook, where you will receive links to other articles about literacy and wonderful events to attend! The Literary Family - on Facebook- don't forget. We look forward to your comments and "likes"! Don't miss it! It is today! Wonderful for the kids. Enjoy! ‎"Education is the most powerful weapon which you can use to change the world." 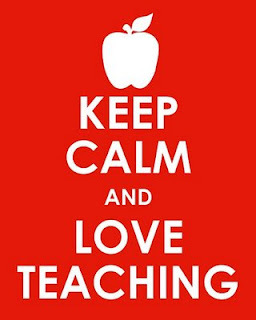 Happy first day back to all the teachers in NYC. Welcome back to all kids and teachers and families to school who have started even earlier! Why not? Get out some sleeping bags, dig around for some flashlights, create a campground at home! Gather up stacks of books. Let kids read and talk all night! Readership around the globe, welcome! Where are you from? What are you and the children in lives reading! 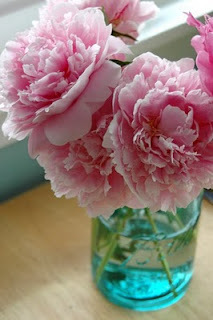 Thanks for reading the blog and sticking around! Feel free to email us at theliteraryfamily@gmail.com for book suggestions or activities that you and the special little ones in your life share around books! We would love to hear form you! Spread the word about the blog! 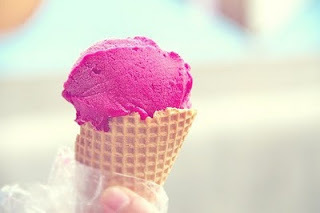 Smile, Eat Ice Cream, and Read! Happy reading to you and your literary family! Take your books out into the world together! On my 'west coast tour' I stopped and visited the Rocky Mountain Mama and her two boys in Colorado. We spent the weekend designing aircraft. RMM's eldest boy, Super Sweet S, is a master at putting together intricate Lego machines and buildings- especially, Lego Star Wars! We brought home a large airplane for the boys to assemble. SSS took out the instructions and started on the amazing puzzle solo! It was a beautiful reading experience. He had the directions/instructions next to him and all the pieceslaid out on the table ready to use. The concentration and stamina that he had was impressive. I think he worked on that plane, certainly close to 2 hours! I also headed north west to see Little Moon and Mama J and Papi D. We decided to rent a cabin in the woods. Mama J wanted to bring her own puzzles, but resisted the urge---- seeing as that the car was already packed to the hilt. But I brought, from NY, a book of puzzles for Little Moon! 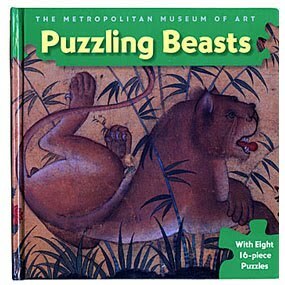 The Metropolitan Museum of Art in NY publishes 16- piece puzzle books of beautiful artwork. I got Little Moon, Puzzling Beasts with 8 beautiful pieces of art to reassemble. There is a little 'blurb' with each puzzle to read about the art and/or the artist. 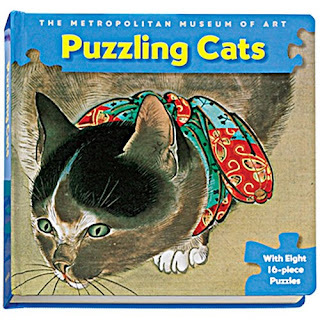 The books are designed to assist young novice puzzlers so you place the puzzle pieces upon the art. Puzzles are wonderful games to play that really push your mind mathematically- but they also can push the literary side of your brain as well! Enjoy the puzzles and the reads! This summer I've ended up having a couple of big trips for work that took me towards the west coast. I had to get to New Mexico by the middle of August, so I took a detour to Colorado first to visit the Rocky Mountain Mama and her family! I brought the boys some gifts. Super Sweet S is going into first grade and is apparently literally reading everything! "Titi," he says, "Do you want me to read the catalog about Halloween Costumes?" His younger brother, Younger Brother E, is also obsessed with reading books as well. I brought a whole load of books with me as my, "Thank you for having me in your house this weekend gift." Among other books, I brought the boys a new series of comic chapter books, The Dodge Ball Chronicles! Apparently they loved them! After visiting the southwest, Colorado and New Mexico, I decided I needed to search for my souvenirs for my nephew and Little Moon (who I would be visiting for the second part of my west coast tour after New Mexico). I found some great wildlife books. I found a board book about animals in the southwest, and a beautiful photography book of baby animals from this area. 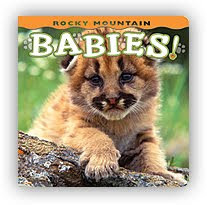 I also discovered a new series of non fiction books from Farcountry- So I had to get, The Rocky Mountain Babies. I would be remiss if I didn't also pick up a story about the Day of the Dead after being in the Southwest. Luckily I found one by Tony Johnston and Jeanette Winters. As I made my way from Colorado to New Mexico and then on to Seattle, I both dropped books off and picked new ones up to bring with me as souvenirs of my travels! Hope your summer has been filled with travels and books! 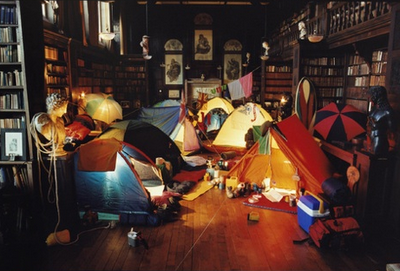 What books have you picked up as souvenirs to help you and the ones you love remember your adventures! I have been building up my nephew's library at home. He now has officially taken over the complete last two shelves (three if you count the stacking of books under the shelves) of my sister's floor to ceiling bookshelf that takes up the entire living room wall. While I feel quite proud, about a third of his library is now in French. My nephew is bilingual. 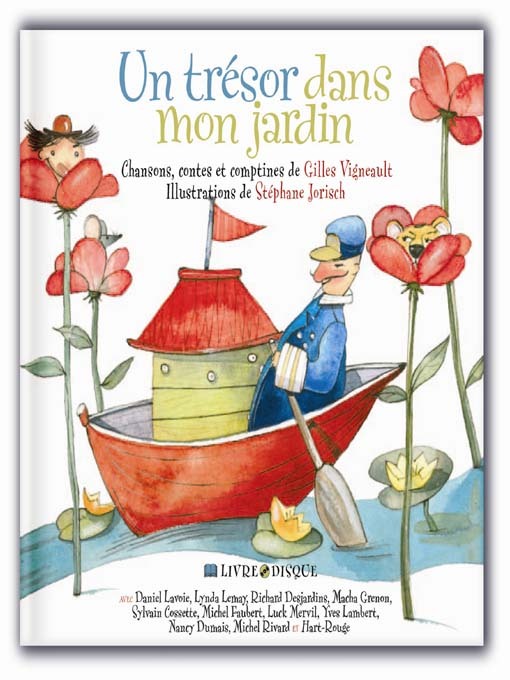 To support his linguistic development in his second language, I have been diligent to find books in French that hold his interest, introduce him to new and challenging vocabulary, and that span both story, poetry, and non fiction texts. I buy him books that his mother (who is fluent in French) and his babysitters can read to him with no problem. I also have bought him books that I can read to him (ones that are a bit simpler for the novice French speaker). I found many series that he has absolutely fallen in love with that I can read too. Our two favorites are: Crocolou and the Petit Garcon series. 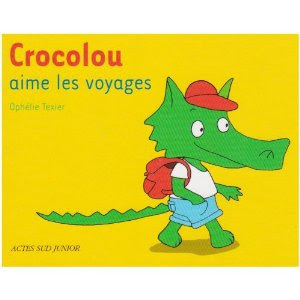 Crocolou's books are simple stories all about a little crocodile named, Crocolou. 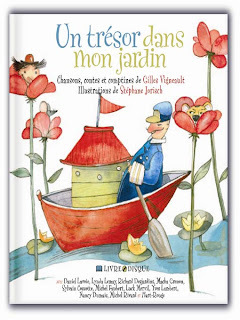 Each book centers around another thing that he loves: Crocolou aime sa mama, Crocolou aime l'ecole etc. With a few re-readings of these books my nephew has been able to "learn" them and fill in the blanks, quickly and easily when i make dramatic pauses for him to chime in. Even as simple as these books are, they still introduce new vocabulary to us! The Petit Garcon series are fun. 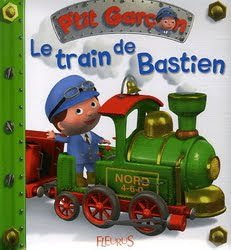 Each one is about another little boy enjoying some sort of transportation: Le Train de Bastien, La Moto de Marco, L'Avion de Gaston etc. They also rhyme. This makes it fun for my nephew to listen to but also easier for me to read with the rhythm! If your kids are bilingual, make sure you have the books in both languages in your house! Read them together! Bilingualism is a gift to be treasured! Spend time in the "not so dominate" language together. If you are not bilingual, but enjoy languages and want the kids in your lives to enjoy languages too, buy books in foreign languages. Read them with your child. Study the pictures hard! Reading is a great way to learn a language and to develop appreciation for different languages. Be brave! Dive right in! Pick up a children's book in a language you studied in high school or college- practice reading it and then share it with a child! Have fun. This year, after visiting my nephew for three weeks, I left with him a 'memory book'. This book I have left blank spaces under each of our amazing things that we have done, for him to fill in the pictures. His drawing has improved so much over the year. He now makes representational shapes that really match the object he is drawing. He made an incredible Beluga Whale this summer that will now hang in my office. Hopefully over the days, until I see him next, he will make pictures that match the things that we did. Fortunately, I also snapped a few photos that I can bring and paste into the memory book as well. But why not make it interactive! Hope you are enjoying your summer with the kids in your lives! When you ask my nephew what his favorite videos are, he now replies, "Planet Earth, Life, Galapagos (en francais) and T'choupi (en francais aussi). 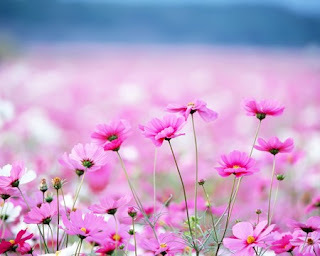 Life, is another version of Planet Earth, narrated by Oprah Winfrey. It is a beautiful display of wildlife across the globe. My nephew, in true 3 year old form, enjoys acting the different scenes. He gets his animal critters out of the toy box and begins to explore, who hunts who? Hunting and Hunted is his favorite episode. Unfortunately we don't have an ostrich for the cheetah to eat nor do we have a "cheetah deer" for the tiger. Luckily he can improvise. Sometimes he enjoys acting out the videos without props and just take on the animal personalities himself. He ropes in other 'actors', like myself to play different roles. 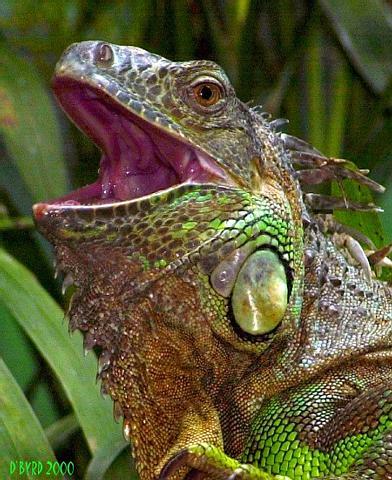 From Galapagos, one of his favorite scenes is watching the giant predatory birds hunt for iguanas, swimming in the sea. The videos have been amazing to develop quite a large and specific vocabulary and to introduce the concept of "interdependence". Acting out before, during or after, is a great way to have a 'conversation' with kids about what they are understanding and thinking about while watching videos! Enjoy the stage with your kids! Enjoy Life! 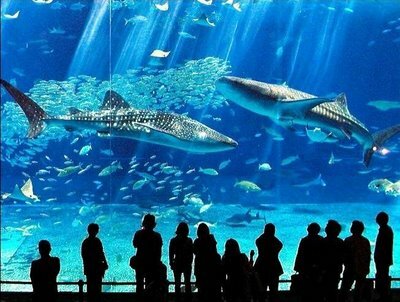 Seriously I want to visit here: The Okinawa Churumi Aquarium. Amazing. 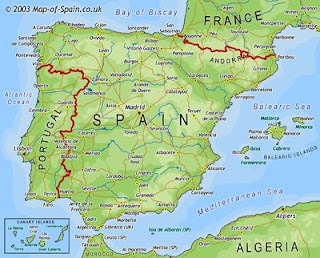 Adding it to my international travel I must do with my nephew. My nephew, sister and I recently went to the science museum/aquarium in Burlington. There were wonderful fish, frogs and reptiles to observe. There was a wonderful hands on project: dissecting owl pellets. My nephew discovered lots of skulls and bones! In the resource center there were other tanks and animals, along with books and puppets and the like to really get another up close vision of wildlife. At the tank there was a snake inside. Interesting enough, there was a journal right next to it. It was filled with comments and observations and questions from many different visitors of different ages. We looked and observed not only in the tank but we reread all the comments made across time about this snake. It was fascinating! What a wonderful idea. 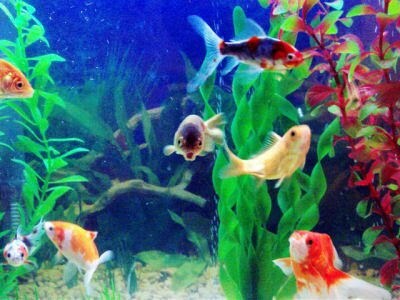 You could have a notebook/sketch book set up in your home, next to a plant, a terrarium or aquarium in your home. You and your child could observe and note take. When you have guests come to your house you can urge them to "leave a note" in your observation journal. What a fun thing to keep- just like a real scientist. What a neat thing to look back over and read! I just got to visit with Baby Layal- (The nights). New Mommy R looks amazing and the baby is just precious! 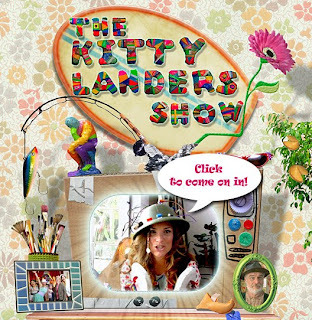 Check it out- a show for kids! Interesting themes and original characters. Online has so much to offer! Families can make a difference. 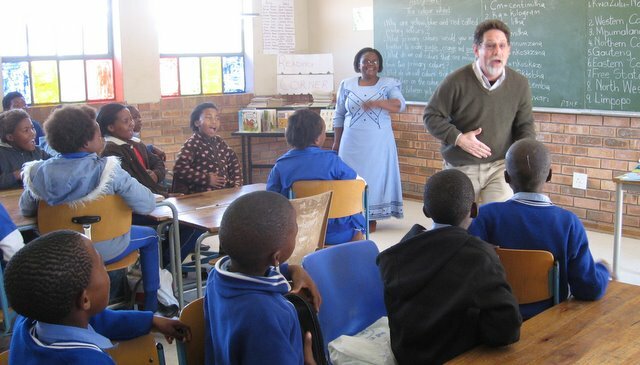 Read about the Kugler Family working in South Africa for their summer vacation. Inspiring! Needless to say, on our journey north, we had many hours to 'kill' in the car! No worries, because Auntie brought lots of music to pass the time away. Of course we brought our favorite, They Might Be Giants (1,2,3 and Here Comes Science). We also brought a new favorite- Pete Seeger's CD- Stories and Songs For Little Children. My nephew "studied" PS in his school. He is one of their 'heroes'. He made a little Banjo and loves to 'strum i' and sing Skip to My Lou. So we definitely took that with us. We also took a new cd in french, Un Tresor Dans Mon Jardin. A series of beautiful songs and poems all in French. Big Girl Jas and my nephew enjoyed this cd immensely. Even though BGJ doesn't speak French, she appreciates the sounds and languages from everywhere. She too is bilingual, English and Spanish. Since the two kids are both bilingual they had a lot of discussion about languages and translating. BGJ picked out her favorite song on the album- Comptine pour endormir un enfants. 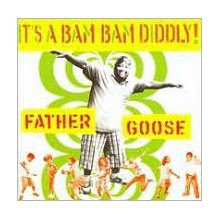 We can't leave home with Father Goose and Dan Zane. So we brought - Catch the Train and It's a Bam Bam Diddly. There is Haitian Creole, Zulu and Spanish! BGJ enjoyed singing and translating that one - Mariposa Ole!- for everyone. Don't forget your music in the car! Mommy R came on vacation and I learned all these great literary events you can have at home with your child. Big Girl Jas is turning 8 this year. She is trying to decide how she would like to celebrate her birthday. Last year, when she turned 7, she decided she wanted to put on a play for her birthday. I know. When I heard the idea at first it seemed complicated and difficult. But when you get to know BGJ, you see that theater and dance are her passions. Mommy R also shares these passions with her daughter. So, they decided to give it a try. They first picked a story that they could share with their friends, give everyone lines, and have costumes for everyone. 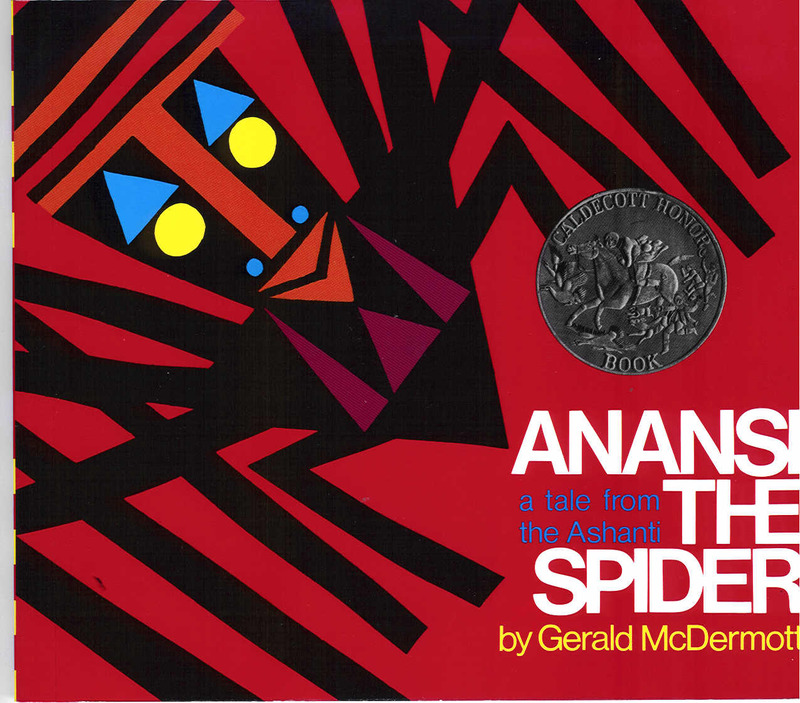 They chose an "Anansi" story to tell. 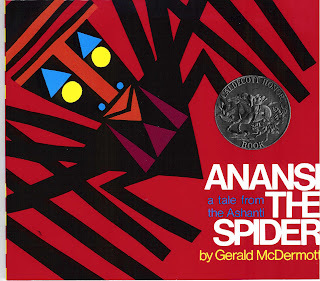 I cannot remember which folktale about the famous spider they chose. They sent out a quick invitation- asking for an immediate RSVP to see who could make it and wanted to perform with BGJ in the play. They asked kids, Do you want a speaking role or a non speaking role? Then they sent all the kids their lines so that they could practice and 'rehearse' at home. When the kids arrived to the party, Mommy R and BGJ and all the kids began to do a 'run through' of the play at home. They then practiced with costumes (supplied as best as possible from BGJ's collection of dress up clothes). Kids were in charge, so there were no 'wrong' costumes. Kids could be as creative as possible. Then they did a run through with the costumes on! Next they ate cake and ice cream! Finally they went to the local ample theater in their local park. (Seriously- they have one. How perfect, right?) They did one more run through on the stage. Then they got to put on their make up! The parents came to pick up their kids from the birthday. Right before they all left- the kids put on the play for all the parents and care-givers and kids! Quite a celebration, no? 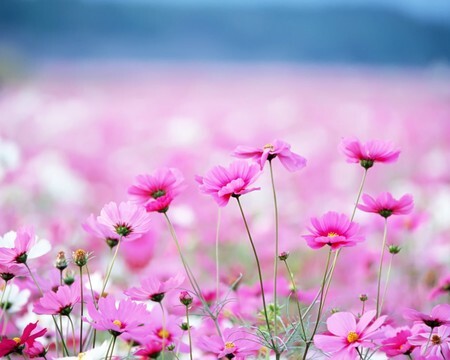 For everyone. What an experience! I love it! Who knows, maybe this year, BGJ will write her own play to perform next! In between lake and pool, tennis and shuffle board, we had some time on our hands to share stories. Mommy R loves to tell stories too! But she doesn't just tell any story. Many of her stories she tells, ends of teaching us all something. They all sound vaguely familiar, but are not 'real stories' but certainly ones we can relate to. Mommy R asks everyone who is going to listen to the story if they want to be in the story or not. My nephew decided yes. Big Girl Jas decided no. All that meant was that Mommy R would tell a story with your name in it. But it was sure to be 'fictional'. One of the stories that Mommy R told was a story about my nephew, and his friend, "Hakim" (aka my nephew's doll's name). It was a story about how "Hakim" didn't like to play tennis. He found it very frustrating. He got very angry. "My nephew's character" had to think of a way to included him and to help him not be frustrated. Can you imagine a real episode like this? I truly can. 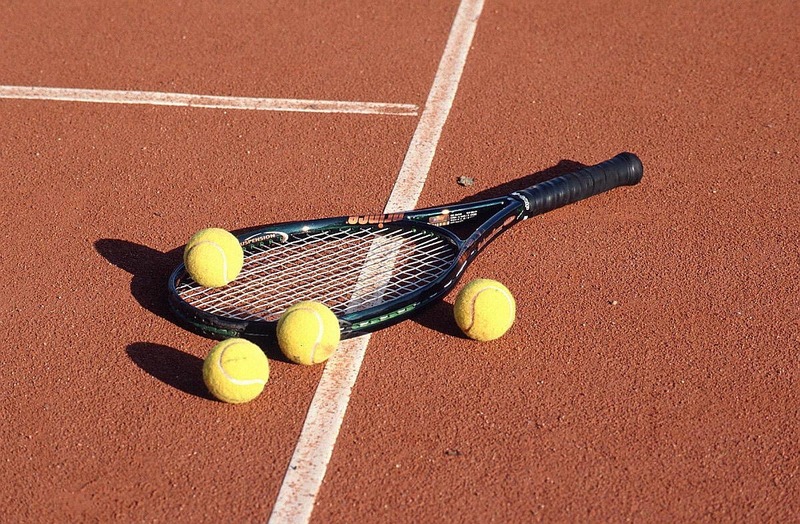 It was interesting to see how the two kids listened to this story and how they re- thought about the time we played tennis. Telling stories help you to hold on to memories and to also work out the problems and issues in our lives- no matter how small or big! 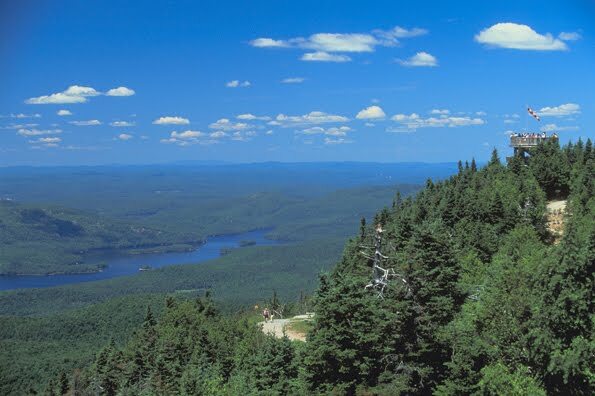 The nephew, sister and I drove up to Mont Tremblant and we invited our friends, Mommy R and Big Girl Jas with us! Up in our chalet- over looking the mountains and lake we were granted several dancing and singing performances from the kids. An almost 8 year old is heaven to a 3 year old! They had such a blast. BGJ would take the nephew in another room, and "teach him" his steps and the song that they were performing. In about 2 minutes the little nephew had to learn a lot, or just follow her lead. We were serenaded by, "These are a few of my favorite things..." and "I'm am sixteen going seventeen..." and "I close my eyes, pull back the curtain..."
I have to say my favorites were the ones that they made up. BGJ had a few that she sang. One I think was titled, "Swan Lake". My nephew did one in English and one in French, both I believe titled, "Fire Truck"/ "Camion Pompier". Can you imagine what happens in that song/rap? Yes, lots of crashing! Everyday was a series of songs that we got to watch and appreciate. What a nice time to pass together (and bond!). 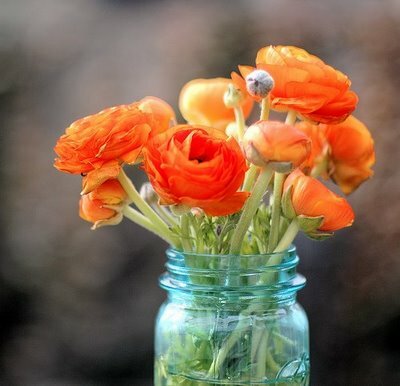 Writing is a great way to hold on to your memories. You can write your stories down in a memory notebook- or why not your new songs! Who knows, you may have an album in the works! I am back from Costa Rica. A week of bliss truly! I was staying in a beautiful little-itty- bitty town, Santa Teresa. As I was getting ready to go I was thinking, how will I share this with my nephew? What can I bring him? There were no bookstores here to find a book on Costa Rica. I thought that the airport might have a little, 'recuerdo', that I wold be able to bring back. As I walked along the shores with my friend B we were picking up and noticing the wonderful rocks and beautiful shells. We found many sand dollars! 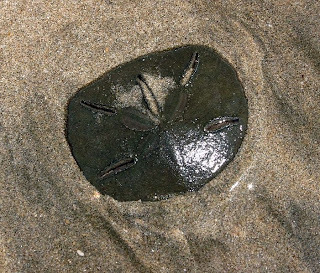 That of course sparked another line of questions, what exactly is a sand dollar!? They are so beautiful and have such precision and beauty in their design. We found so many of them on the beach, they looked unreal. So I decided to bring my nephew back a sand dollar. We started to discuss, what is a sand dollar? "A sea urchin", I began. "It is like the left over skeleton of a sea urchin." "What's a sea urchin?" my nephew replied. And so the conversation has started. We got the computer open to start searching for the different kinds of sea urchins and what they look like and how they move. "How do they move on it's spine? What do they eat? Why do they look like that?" Gifts come in all shape and sizes. How you talk about them and let the gifts grow into something larger is all up to you! Hope you are enjoying your summer and reading! So, the nephew and I and his day care- all went raspberry picking yesterday in the Canadian heat! Mama R doused us in natural lavender bug spray and off we went to pick. 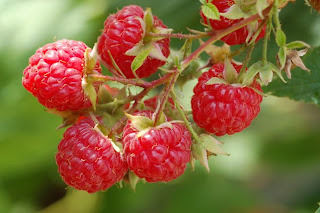 Mama R taught us to pick the truly red berries, not the pink ones. My nephew quickly became an expert! He filled his bucket and his tummy at the same time. Today they are making, confiture. Mama R wanted all the kids to know the process it takes to make jam! So, all the kids picked the berries, and today they will make the jam. They will have been a part of each and every step of the process. The farm also had goats, sheep and lambs, a llama, chickens, ponies and rabbits. My nephew quickly fell in love. He loves feeding the animals. These kinds of experiences, visiting a farm, going picking berries, and cooking help to build knowledge and love for the world we live. It also sparks a new reading interest. Books can introduce you to places, new people, and great new activities! 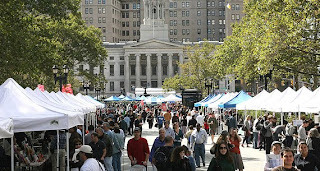 Experiences, out in the world, help to introduce you to new passions and interests to continue researching in books! Field trips, outings, exploring the natural are all entry points into new content and new books. Bobbie Kalman has some beautiful books about the natural world that have inviting photo and wonderful text and information to read. She also does a nice job with diagrams, charts, and maps that help kids put together the information. My nephew recently went to Orlando with his grandparents and visited Sea World. He is sure that he wants to be a diver. He wants to study whales. The interest has sparked a lot of 'play acting' and reading about orcas and dolphins and all things ocean. It has also helped to introduce him to a whole new vocabulary. Going to the farm, has done the same thing! It has sparked an interest in plants and in farm animals. It has triggered interest, new reading material and a whole set of questions that he now wants to pursue. Today he is making raspberry jam. He will make it and eat it! Later he will retell the whole process to the family! Then we will look up the raspberry plants and we will open our plant books to think about plants and how they are important to us and the world. Here is a recipe for jam to make some at your house. If Mama R gives us her recipe, we will pass it on to you! Enjoy the world! Get out and explore! 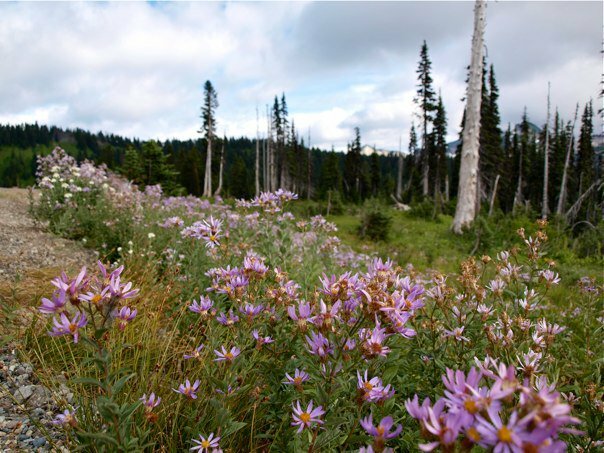 Maybe it will just be your back yard or a patch of sidewalk, maybe even mountain. Enjoy the read. We did. We watched soccer all afternoon. We went over to our friends' giant loft, J and C, to see the match. It was perfect for us. My nephew lasted the whole game, reenacting much of the 'drama' in the game. After seeing player after player 'dive' for the ball, he too then (with me) would act out the scene of how it happened. We are glad we stayed to watched the entire game- to even see Spain finally make the winning gooooooal! We came ready. We brought all of my nephew's soccer books, including a couple of new ones. They came in handy, especially at half time. We brought our biography of Pele. We also brought Let's Play Soccer. 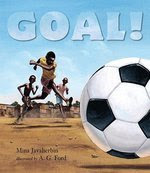 His new book, Goal! is a story about young boys playing soccer in South Africa. His other new one is a simple Hello Reader, Soccer Game! about kids playing the game as well. After the game, we drove the park, where the cars kept streaming by with the flags and a lot of honking! I hope you all enjoyed the world cup as much as we did and learned a lot about the world like we did as well! It happens once every 4 years. Next WC, my nephew will be 7! Enjoy the read! Enjoy your summer! Copyright Amanda Hartman. Watermark theme. Powered by Blogger.